The Data Connect 5224A-DSG is a 24-Port ADSL2/ADSL2+ mini IP DSLAM with one 1000Base-T uplink Interface offering scalable and easy deployment for the network with small ADSL environment. With the built-in POTS splitter subscriber ports, the DCE 5224A-DSG performs a cost-effective solution for network service providers to offer multiple subscriber excellent services. 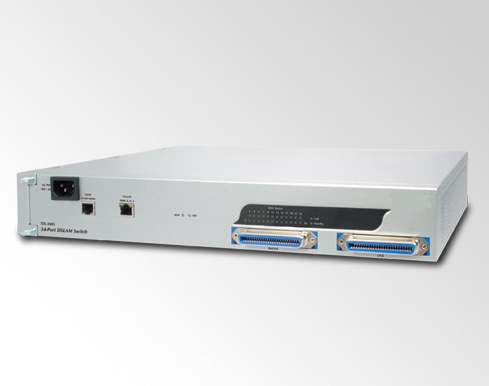 Moreover, the 5224A-DSG supports local and remote managed capabilities of CLI, SNMP, Telnet via RS-232 Console Port and Web GUI management interface. Via the user-friendly Web GUI, the 5224V-DSG can be managed b workstations running standard web browsers that provide the easy-to-use operation and convenient maintenance. 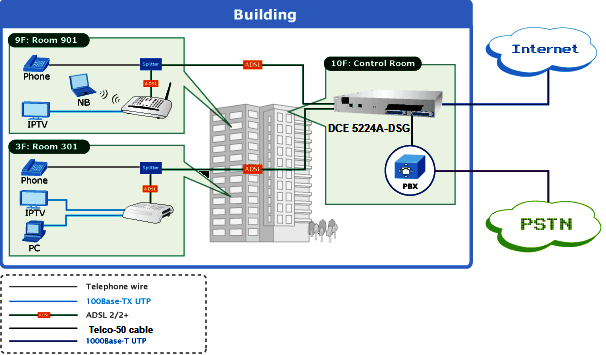 To enhance the network security, the DCE 5224A-DSG also provides features such as QoS, VLAN, Multicast, Bandwidth Management, Traffic Prioritization, and Access Control List. With the advanced QoS features, the DCE 5224A-DSG is an ideal solution for next generation broadband network to deliver rich video contents, DSL, POTS, and VoIP service over ADSL2+ connection. 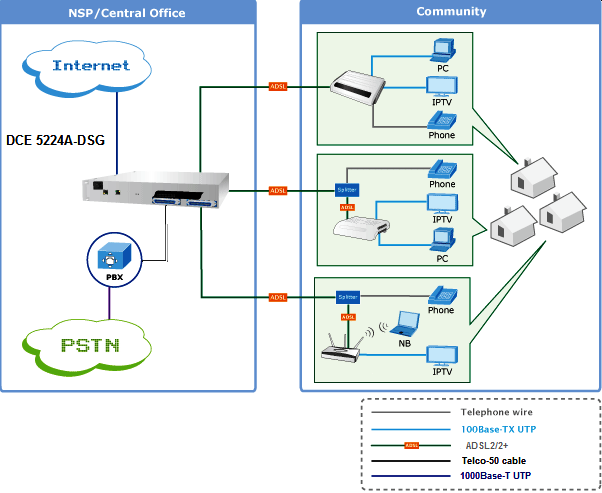 Perfect Solution for NSP (Network Service Provider) to offer broadband services The DCE 5224A-DSG offer the benefit of high performance to central office co-location and MTU (Multi-Tenant Unit) / MDU (Multi-Dwelling Unit) markets. It provides service of broadband data over existing copper wires without affecting the conventional voice service by 24 subscriber ports with built-in POTS splitter. The Data Connect IP DSLAM is the perfect solution for NSP with cost-effective and high-value central management capability.